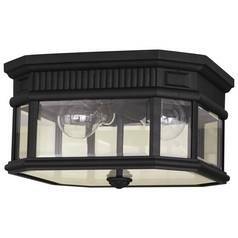 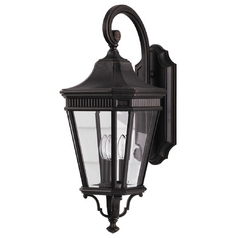 The following are detailed specifications about the Outdoor Wall Light with Clear Glass in Black Finish. 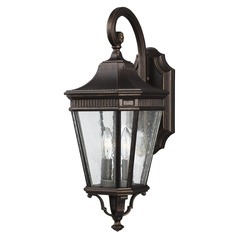 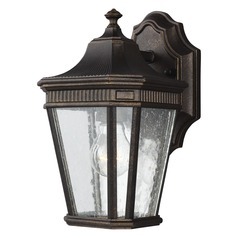 Illuminate your doorway for a welcoming homecoming with this functional and stylish outdoor wall-mounted light. 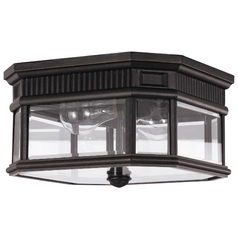 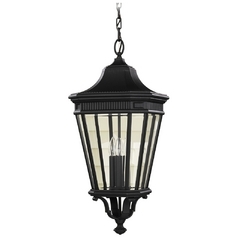 With a heart-warming traditional look, this black light boasts fluted metalwork, scrolled accents and a decorative finial, along with clear beveled glass for optimal illumination. This two-light fixture is constructed from tough rust-resistant stainless steel for durability and lasting use, and it is approved for use in wet and damp locations for all-weather use. 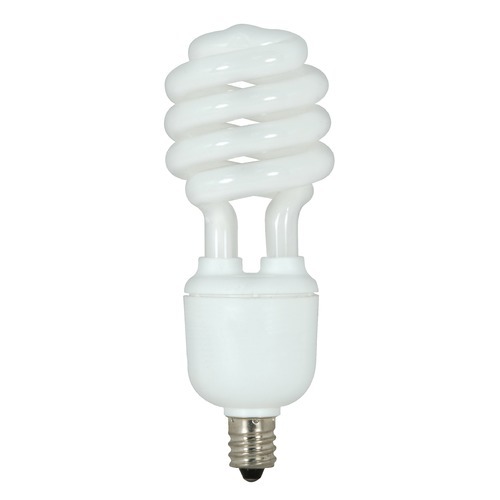 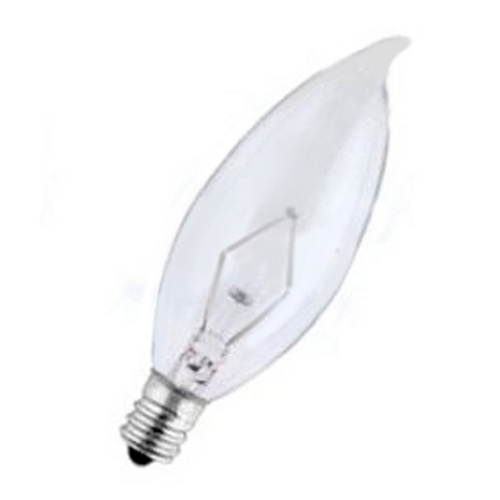 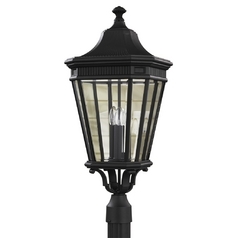 This outdoor light requires two candelabra-base incandescent light bulbs of up to 60-watts maximum each. 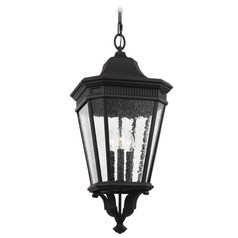 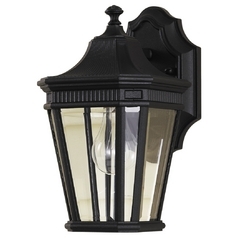 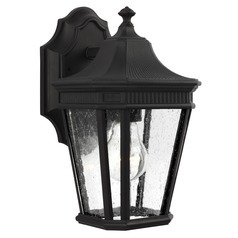 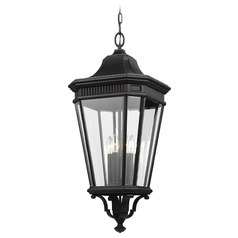 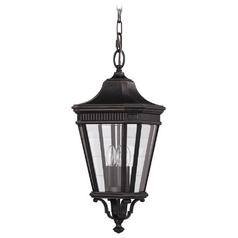 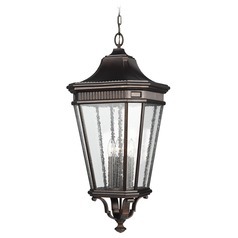 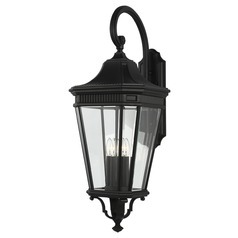 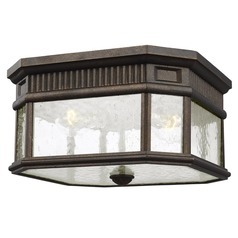 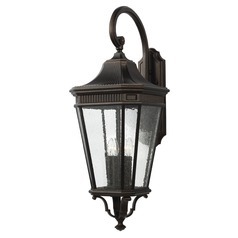 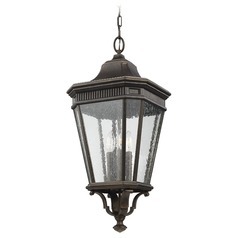 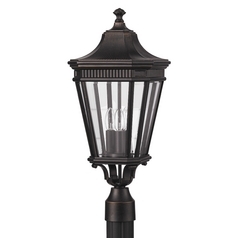 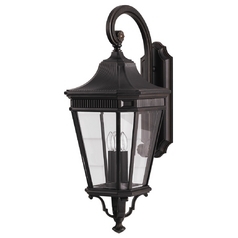 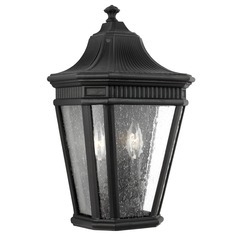 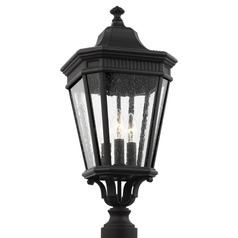 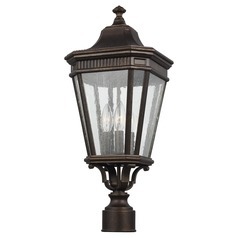 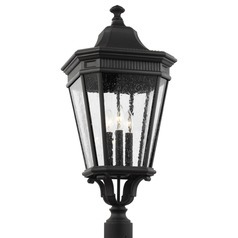 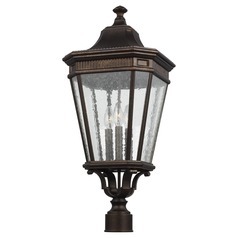 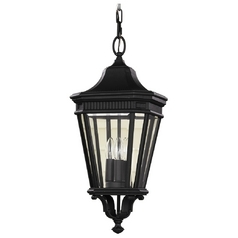 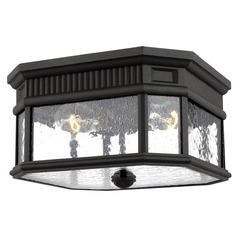 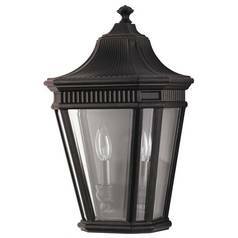 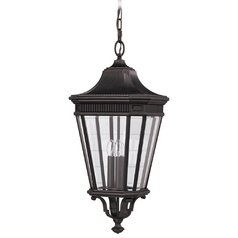 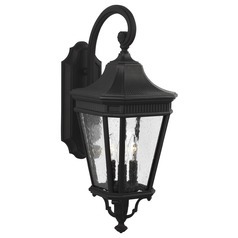 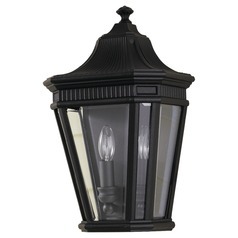 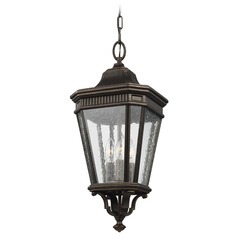 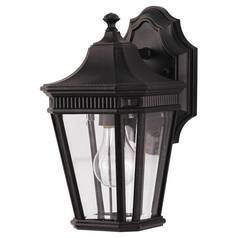 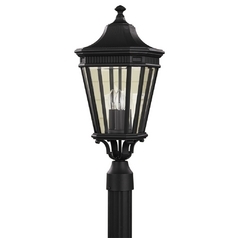 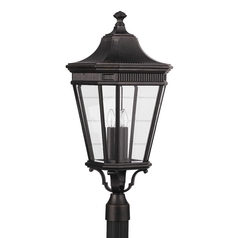 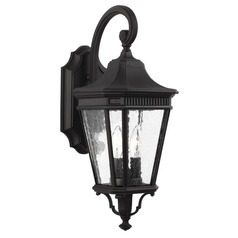 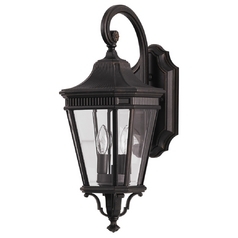 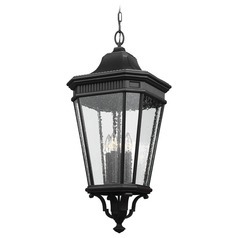 This Outdoor Wall Light with Clear Glass in Black Finish is part of the Cotswold Lane Collection from Feiss Lighting. 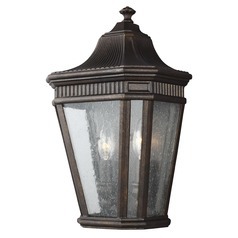 The following items are also part of the Cotswold Lane Collection.